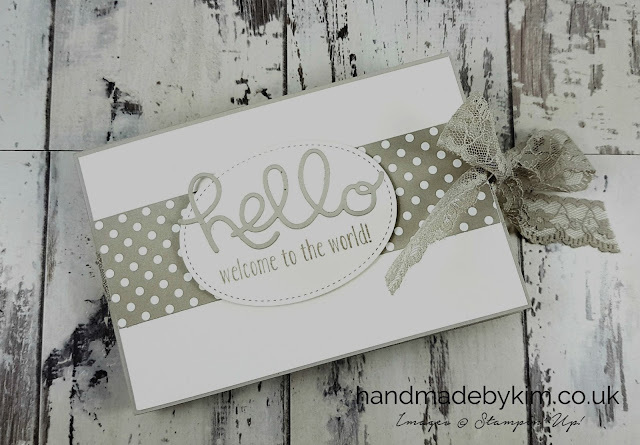 Hello and a very warm welcome to my blog Handmade by Kim! 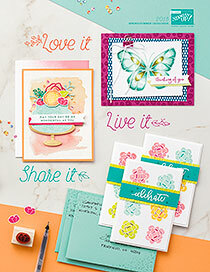 My name is Kim Price and I live in the UK and I am a Stampin' Up! Demonstrator. 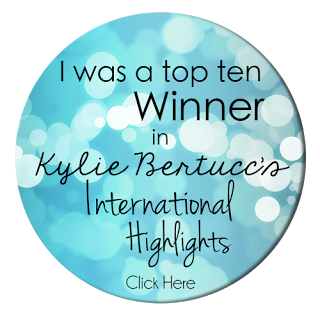 Today I am taking part in a blog hop which includes the top ten winners from Kylie Bertucci's International Blog Highlights. 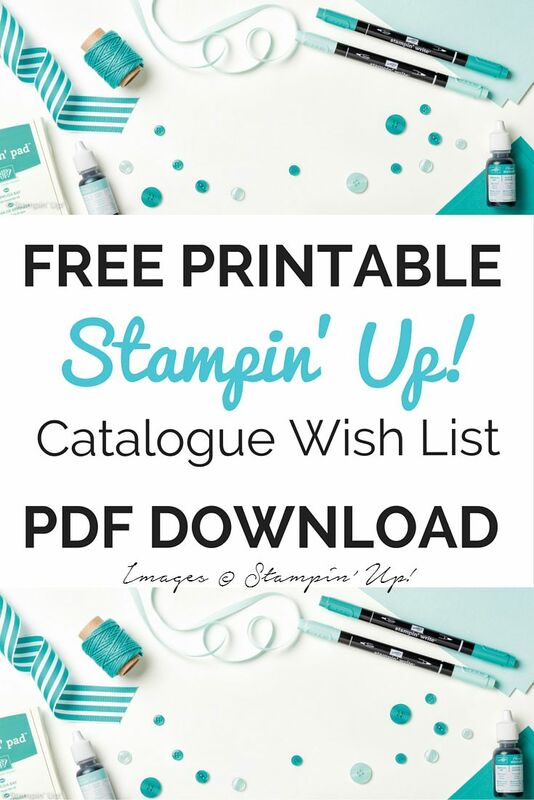 I am so honoured to take part in this blog hop alongside these amazing Stampin' Up! demonstrators from all around the world. 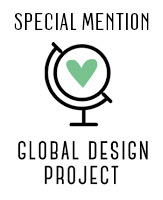 To view all of the amazing projects they have made, please scroll down to the end of this post and click the links to visit their blogs. 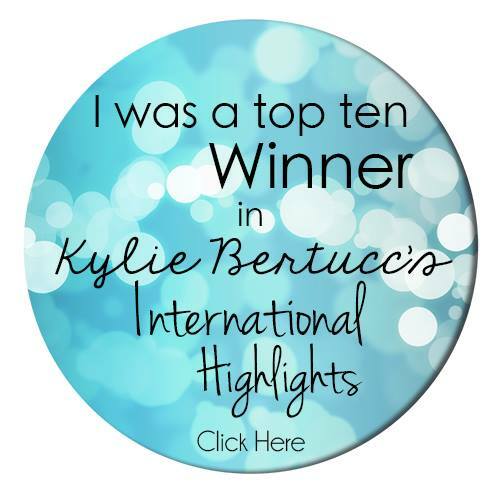 I'd like to say a big thank you, I wouldn't be featuring in this blog hop today without all of the amazing blog readers of all of the demonstrators who showcased their work in Kylie's International Blog Highlights and who took the time to cast a vote. 1) I have used some retired product for my project. The Sahara Sand Lace Trim (my most favourite ribbon ever) and Crumb Cake Stitched Stain Ribbon - this was purely for the colour coordination and the look I was trying to achieve. 2) I took these photos just over a month ago and I stupidly didn't check them on my laptop until it was too late to retake them. Unfortunately the colours I have used look really washed out and don't do it justice so I have adjusted them to the best I can. I hope you can forgive me! I made this album based on a mini scrapbook that my upline Michelle Last designed for a Pinkies team training day. The actual design is completely all of my original work but I can't take any credit for the fantastic layout and great instructions that I have referred to time and time again. Thanks Michelle! I work full time as a Finance Manager and I have the best team of staff. I love to make things for them, when the occasion arises. One of my team had a baby boy last year and I made her a similar book (I will blog about it soon). When my team member Andrew announced his partner Lauren was expecting, I knew that I had an excuse to make another. I have great fun designing these albums and I always feel quite sad parting with them when the time comes. Both versions I have made are completely unique and for this version I chose to use muted tones of beige to match the gifts we had bought for them and their baby boy Bailey. The colours I have used are Whisper White, Crumb Cake and Sahara Sand. I decorated the album using two different stamp sets. The stamp set I used the most in this project is the Made With Love stamp set - the cute animals and sentiments for the cards are just perfect. I also used the Baby Bear stamp set for the message 'Welcome to the world' on the front cover. 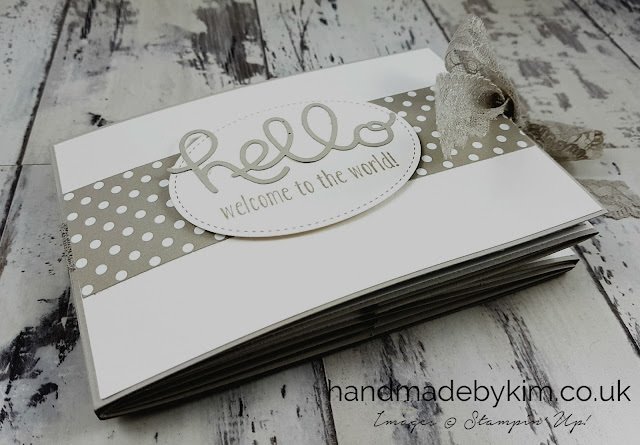 I used various framelits and thinlit dies to decorate the album, I used the Hello You Thinlit dies for the die cut the Hello sentiment on the front cover. I used the Layering Ovals Framelit Dies, Layering Circle Framelit Dies and Stitched Shapes Framelit Dies throughout the album for all of the ovals and circles. 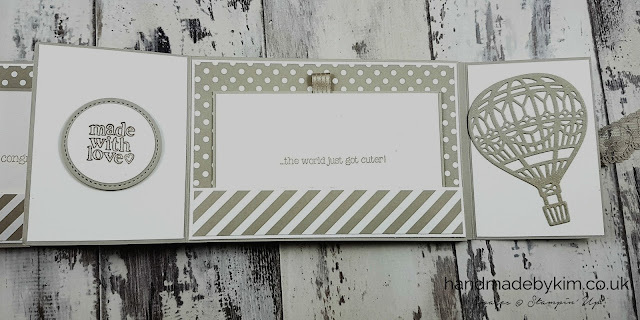 I just love the look the stitching effect gives, just the right amount of interest and detail so your eye is still drawn to the stamped image. 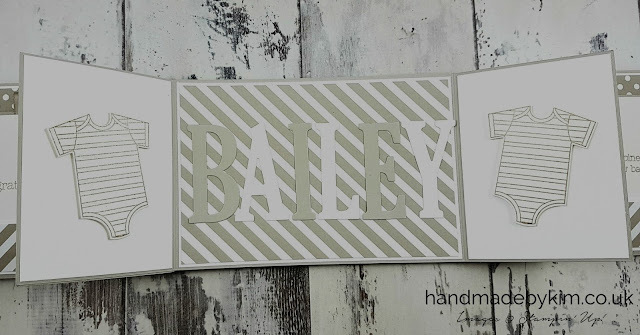 I also used the Up & Away Thinlit Dies for the hot air balloon, the Baby's First Framelits Dies for the baby grows and the Large Letters Framelit Dies for the centre where I spelled out Bailey's name. 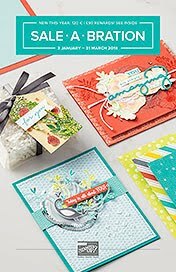 I was in die cutting heaven! I usually buy a card for everyone at work to sign for birthdays and special occasions, I felt a a shop bought or a handmade card for this occasion would be too small for all 22 of us to sign and I wanted to make something handmade and unique. With this in mind, the idea to make a keepsake album came about. 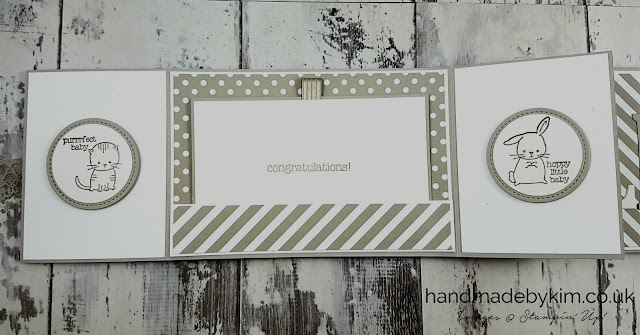 Instead of leaving spaces for photos, I included pockets where I could put note cards we wrote our congratulations messages on. Each card is double sided and can easily be taken out to read both sides. They can't fall out easily either, so no worrying they will be lost. I hope you enjoyed today's project and thank you for taking the time to visit my blog - don't forget to let me know you were here by leaving a comment, we all love to receive them. I'd love to welcome more subscribers too, so please check out my side bar and if you are interested, make sure you sign up to receive notifications of my new blog posts, you can even join my newsletter list. Here is the list of the other winners. 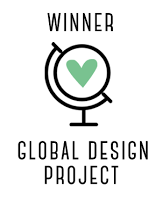 Take a quick break to go and grab a cuppa and visit each one of their blogs to see what lovely things they have made. Oh, these are lovely! 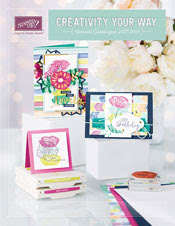 What a sweet gift for your team at work! This is such a fabulous idea Kim. I love the notecards you've added. What a great keepsake. A keepsake to be treasured Kim .. Thanks for sharing! Loved this keepsake. Would love to have a go at it only don't know where to start. Any chance of you posting how you did it or a video.